Riverview Towers, at 28 Riverside Avenue in the heart of Red Bank, New Jersey, is a high rise apartment building overlooking the Navesink River. The building includes 150 apartments on 12 floors. The apartments range in layout and size from studios to 3 bedroom units. Nearly every apartment includes at least one spacious balcony. Riverview Towers is incorporated as a cooperative apartment building (co-op). The building's apartments and common areas are represented by shares of stock in the corporation. Purchasers of shares are entitled to the use of a particular apartment represented by those shares under the terms of a proprietary lease issued by the corporation. The corporation is governed by a Board of Directors elected by the shareholders. Each shareholder's monthly maintenance fees include a proportionate share of the building's utility fees, real estate taxes, personnel costs, mortgage and other expenses. The corporation maintains a reserve fund for contingencies. Each apartment is served by the central heating and air-conditioning system. Apartments are equipped with gas ranges for cooking. Gas for cooking and heating is included as part of the monthly common charge. Electricity used within each apartment is metered separately and billed by the utility directly to the owner but the electricity used in the common areas is included as part of the monthly common charge. Each owner is responsible for the payment of any debt secured by a mortgage on that owner's apartment. 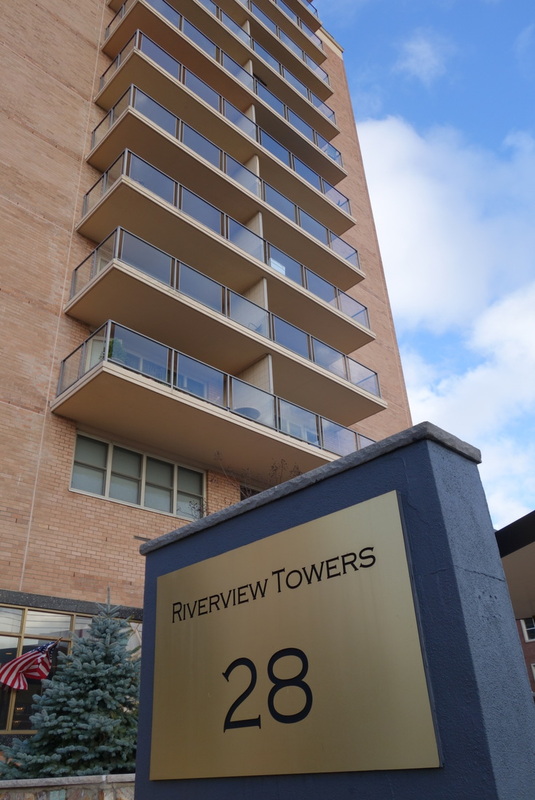 Riverview Towers has a full-time staff consisting of doorman/concierge personnel for security, a maintenance staff, and an on-site building manager. Common areas of the building include a gracious entry lobby, a meeting room, a laundry room equipped with washers and dryers, and a mail room where each residence has its own secured box. There is a package room for holding larger pieces of mail or other items delivered to the building for an owner. Each apartment has a lockable storage unit in a lower level of the building. Riverview Towers' outdoor amenities include a swimming pool, pool house with showers and lavatories, and a marina with docking facilities for boats, kayaks, and jet-skis. There is a landscaped terrace adjacent to the pool and marina. ​A parking garage located beneath the building provides spaces for tenants' automobiles and bicycles. The garage is heated in winter.